Congress recently adopted and President Bush recently signed into law the Food and Drug Administration Amendments Act of 2007 (FDAAA). The bulk of this legislation deals with prescription drugs and medical devices. Title X, however, deals with food safety and introduces some significant new provisions relating to human food and pet food. The amendments stop short of authorizing the FDA to order food recalls. Instead, they direct that FDA shall, during an ongoing food recall, collect and aggregate information, post information on the agency's web site and provide a searchable database of recalled human foods and pet foods. The amendments also direct FDA to work with the states to strengthen food safety programs. These two provisions do not amount to significant changes in the way things are done. More significantly, the FDAAA directs FDA to establish a "reportable food registry." A "reportable food" is defined as one for which there is a reasonable probability that it will cause serious adverse health consequences or death to humans or animals. This language generally matches the criteria for a Class I food recall, the most serious type of food recall. FDA is obligated under the new law to establish and maintain the registry, set up an electronic portal for submission of information, evaluate information submitted and issue alerts regarding reportable food incidents. FDA must also provide guidance to industry about submitting reports and providing notifications to other persons in the supply chain of a reportable food. Food processors are obligated under the new law to notify FDA of reportable food incidents no longer than 24 hours after determining that an article of food is a reportable food and investigate the cause of the contamination if the contamination may have originated with the reporting food processor. Federal, state or local public health officials may (but are not obligated to) report information to FDA regarding reportable food incidents. 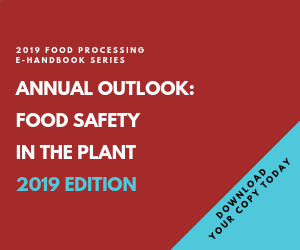 After reviewing reports submitted by food processors, FDA may require the submitter to provide certain additional information and/or notify the immediate previous source of the food or the immediate subsequent recipient of the food of the contamination. The FDAAA references existing adverse event reporting requirements for drugs and dietary supplements as establishing some precedent for the reportable food registry. In actual practice, adverse event reporting seems to be aimed at gathering information about the inherent safety of the drug or dietary supplement. In contrast, the reportable food registry is related to contamination incidents or labeling mistakes in the case of accidentally undeclared allergens. The type of information collected in the reportable food registry may help FDA focus its limited inspection resources more effectively. This may have value, but it is quite different from adverse event reporting for drugs and dietary supplements. In cases where FDA believes a reportable food may have been contaminated deliberately, FDA will notify the Department of Homeland Security, which can be expected to undertake a thorough investigation of its own. Failure to notify FDA of a reportable food is added to the list of "prohibited acts" in the Food, Drug and Cosmetic Act. In theory, at least, the commission of a prohibited act can result in criminal prosecution. FDA generally reserves criminal prosecution for instances of deliberate or knowing violations of the act or those that involve a significant risk of injury to consumers. This requirement obviously adds a new dimension to the handling of food contamination incidents. For starters, it will be essential to judge very quickly and accurately whether the situation matches the statutory criteria for a reportable food, i.e., involving a reasonable probability of serious adverse health consequences or death. In close calls, manufacturers will worry about whether others in the supply chain will submit a report to FDA. And manufacturers will not have the option of handing certain recall situations quietly. They will need to share information with FDA, possibly see it posted on FDA's web site, have follow-up discussions with FDA, and likely be targeted for an FDA inspection. As with death and taxes, it is certain that Congress will adjust the law in response to a loss of public confidence in food safety. This is unfortunately what we are seeing, with several more food-safety related bills pending at the time of this writing.